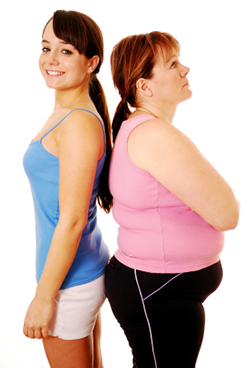 Weight loss has long been known to help improve blood sugar levels in people with type 2 diabetes. Medical professionals often recommend a weight loss of about 5 to 10% of a person’s body weight to help improve their blood sugar control and hemoglobin A1c (HgbA1c), which indicates long-term glucose control. Although weight loss is often recommended as the first line of defense (along with medications, dietary changes, and exercise), it has been a mystery as to why weight loss helps improve blood sugar levels. Scientists think they may have discovered a clue. Researchers involved in the Diabetes Remission Clinical Trial (DiRECT) noted that nearly half (46%) of a group of study participants experienced remission of their type 2 diabetes after completing a weight loss program as part of the study. The 54% who did not achieve remission of their diabetes in this group had not lost enough weight to reverse the condition. It was unclear why some of the group lost the weight and others did not despite the same weight loss approach. Researchers wondered if there was a metabolic reason why over half of the group did not respond as planned to the weight loss. Researchers stress that more research is needed, including longer and more diverse studies. But, for those suffering from type 2 diabetes or facing a new diagnosis, the suggestion to lose weight is sound medical advice and this just adds to the evidence. If you or a loved one have type 2 diabetes and have been unsuccessful in your weight loss attempts, you could be a candidate for gastric sleeve, gastric bypass, or lap band surgery. Dr. Shillingford, MD, PA, performs weight loss surgery for people with a BMI over 35 with comorbidities, such as type 2 diabetes, sleep apnea, hypertension, and heart disease. His bariatric surgery patients come from all over Florida, such as Miami, Naples, West Palm Beach, Fort Lauderdale, and Boca Raton to receive top-notch care at Northwest Medical Center’s Center of Excellence in Bariatric Surgery. To schedule your appointment with Dr. Shillingford or to attend a free informational session, call (561) 483-8840.